What is the Congress of Vienna? The Congress of Vienna took place in order to provide a long-term peace plan for Europe in the wake of the French Revolution and Napoleonic Wars. Signed nine days before Napoleon’s final defeat at Waterloo, it caused France to lose most of its recent territorial gains, where Prussia, Austria, and Russia all gained territory. It was meant to seen as a balance between the main European powers, in order to remain at peace. While it did suppress many republican movements in Europe, it was generally seen as successful in its aim in creating long-term stability and peace in much of mid-19th century Europe, as their work prevented a wide-scale European war until 1914. 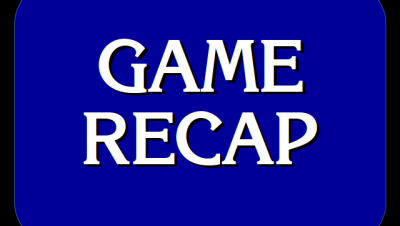 The order deadline is December 8 for Christmas delivery via USPS first-class shipping from The Jeopardy! Fan Online Store. Here are our top sellers; all prices are in US dollars! Kyle’s total Daily Double efficiency of 221 is 3rd-highest for all regular-play games since October 4, 2004, behind only Philip Tiu on March 15, 2016 (285) and Jason Zollinger on January 12, 2010 (222). 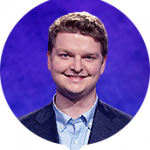 21 Comments on "Today’s Final Jeopardy – December 5, 2017"
Prediction: out of 3/3 possible: minus 1 for Europe, minus one for history = 1 correct, though I would not be surprised if it were a total whiff.But let’s stay with ONE correct. Now, I have to make that prediction now at 05:35 Hawaiian Standard time. That’s the only window because of the time zones when the question and answers are up, but the results are not yet there. Going back to bed…….have a nice day everybody!!! John, your predictions are only half of the fun. You have to try to guess the incorrect responses. I usually do. But being FROM Vienna originally, I could not think of anything else with THIS clue. It was so obvious to me just after the years, I did not even have to go to Beethoven….Napoleons first abdication was 1814, Congress of Vienna, the the infamous “100 days”. And after all, the Austrian emperor Franz II (Holy Roman Empire) which he abolished in 1806 or Franz I of Austria was Napoleons father in law (father of Marie-Louise)….I did my history thesis about Austria-Hungary , so this was too easy for me! Unfortunately your window is 04:00 to 06:30 for me during EST, 03:00 to 05:30 during DST since Hawaii does not observe DST. So I guess I’ll make my predictions when and if I am up that early……!! That’s one of the drawbacks being in Hawaii. When I watch a game from the English Premier League or another major European football league on the weekend I have often to get up at 02:00, or don’t go to sleep until after the game(s)….. This is decided based on who had the lead at various points in the game. Since Matthias had the lead after DJ, he would win the tiebreaker and finish in 2nd. 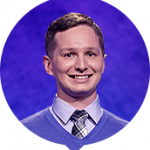 Matthias Clark gave two really historically clueless answers. Council of Nicaea contemporaneous with Beethoven? Considering he wasn’t able to finish, it was clearly a “I’ve got nothing else, and a blank screen is definitely wrong, so might as well put something down” response. I’d recommend we not shame contestants for their responses here. I don’t think Helen was trying to shame Matthias. But when I don’t know the answer I would rather leave the screen blank than give such an outlandish answer that everybody says ” You gotta be kidding me!” Somewhat akin to the “Si tacuisses, philosophus mansisses”. I could not possibly disagree more with your second sentence. Literally, a response that has an infinitesimal chance of being correct is better than a response that has zero chance (with a blank screen being the zero). Well, everybody is entitled to his opinion, isn’t he? I wrote that I would leave it blank. That would be my choice. Yours is different. So that’s not the end of the world. I for one disagree with YOUR choice, but then having different opinions is one of the things that makes us human. By having ALWAYS the same opinion or agree with EVERYTHING would just put us in the category of being a robot.Disagreements sometimes lead to discussions and they in turn sometimes lead to solutions. I find nothing wrong with a different opinion. You have one, I have another.You are entitled to yours as I am entitled to mine.I think on THIS we CAN agree. OK. I know what it’s like to freeze-up. Was there a question on tonight’s episode the the answer was “Bassnectar” or a question that asked “Lorin Ashton”? I think it was in the popular music/ popular culture category. This was one of those days where I had no earthly idea how I managed to get FJ! right. 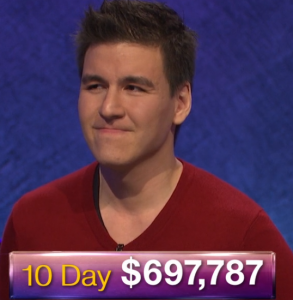 Kyle is very smart but I think Kyle’s youth and life inexperience will keep him from making the TOC. Just my opinion. 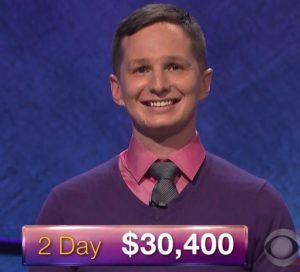 Pretty sure Kyle’s the same age that Ken Jennings was when Ken won 74, so, yeah, that’s a load of baloney.